Temporary tattoos are a great way to show your support and engage a crowd at your next event. If your looking to show team spirit, temporary tattoos are a great way to do so. 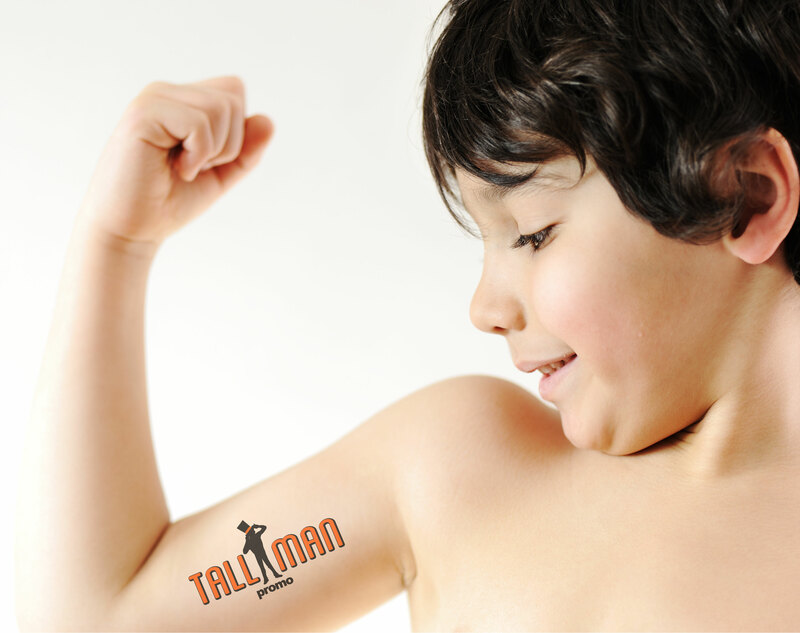 TALLMAN.PROMO temporary tattoos are a safe and fun way for any audience to show their spirit. Temporary tattoos are easy to use and transport allowing you to take them to any event and apply with ease. Good for any event temporary tattoos are short lasting, but an effective way to engage an audience. This product can be printed with a screen printing process. For more information, visit our Production Methods page. Temporary tattoos are made on transfer film paper. For any questions about custom temporary tattoos please contact us.